You know that one of the best ways to avoid catching a cold or the flu is to stay away from people who have it. Germs can easily travel from them to you, leaving you both sick. And while this may be a slightly oversimplified comparison, new research is showing that a similar process may be happening in the brains of patients with neurodegenerative diseases, including Alzheimer's. 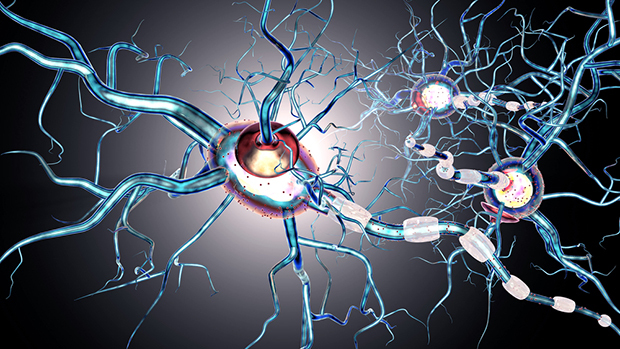 Researchers know that toxic proteins play a key role in the progression of Alzheimer's. But they weren't sure how they made their way through the brain. Now, recent research has found that these proteins spread along existing brain paths and through nerve synapses. Just as a coworker can sneeze on you and pass along his cold, these synapses are passing along toxic proteins from one brain cell to another through vesicles, or small bubbles. These burst and "infect" the adjacent cell. The research team also found that some genetic variations can make people more susceptible to this process than others. One particular gene, BIN1, makes it easier for the synapses to pass these toxic proteins along to their neighbors. But now that they know how the process works, the researchers are hopeful that they may eventually be able to block the spread of the proteins or figure out a way to redirect them. This type of treatment may not be available for a while, but if they're able to develop such a therapy, you'll likely need healthy nerves in order for it to work as effectively as possible. That's one reason that I recommend Advanced Nerve Support. It helps your nerves signal properly throughout your body and promotes healthy circulation. It also will help any nerves that haven't yet been affected to pull extra weight to make up for those negatively affected. Sara Calafate, William Flavin, Patrik Verstreken, Diederik Moechars. Loss of Bin1 Promotes the Propagation of Tau Pathology. Cell Reports, 2016; 17 (4): 931 DOI: 10.1016/j.celrep.2016.09.063.